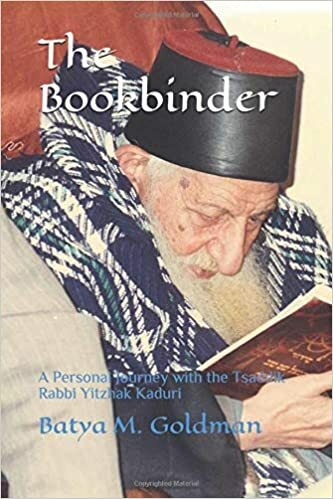 The Bookbinder is a memoir about your life and includes details about Rabbi Yitzhak Kaduri. What was the inspiration that made you want to write a memoir? Well, Rabbi Yitzhak Kaduri passed away in 2006 and since then there had only been one book written in English on the rabbi from the non-Jewish perspective. However, it did not go in-depth into the specific culture of the rabbi’s inside court, the kabbalistic traditions as well as the respect that the “tzaddik” commanded from the different orthodox groups in Israel and abroad. I felt that it was important to portray the rabbi’s more human side, his compassion, his unconditional love for one and all, particularly during their times of distress and need. What better way to do so than to share our personal journey? Rabbi Yitzhak Kaduri features prominently in this book. What were some aspects you felt were important to capture in this book? Rabbi Kaduri, ztl, had a humble soul. Despite his remarkable memory, wisdom and knowledge he did not proselytize nor did he recruit anyone to his principles or belief. I tried to convey that message as best I could through our personal interactions with him, and those close to him. The rabbi’s ruling on any halachic impasse was not questioned as he was skilled in illuminating difficult passages for other rabbis and leaders to understand. What was important to grasp is that he led a simple life devoid of pomp and glamour. The rabbi’s signature was his peaceful silence during the many religious celebrations around the country. He only spoke to pray and bless – he never made small talk. This is a very emotional and thought provoking book. What do you hope readers take away from this book? Well, I think that this personal tale was meant to be shared so that others would understand that miracles occur everyday when there is the smallest seed of faith. Whenever one meets a great mystic of this degree, of course, those miracles become more obvious. The Jewish faith and its traditions are replete with miracle stories of simple people that prayed with nothing more than devotion and hope. One could come away understanding that all faiths and traditions are important insofar as they give man hope in goodness. This is just one story. It just happens to be one that concerned one of the oldest living and renowned kabbalists in the history of modern Israel. As briefly mentioned in this book, I am a spiritual counselor and holistic therapist. My fascination with natural healing has led me to study many modalities from various countries for more than twenty years. Yet, I still return to our Jewish traditions. My next book will be about Jewish healing and herbalism. “Ha Rav”, Rabbi Yitzhak Kaduri, OBM (1898-2006) was the most senior kabbalist of the 21st century in Israel. While many believe that his life and work: studying, praying, and counseling the masses was far removed from the everyday man, this perception could not be further from the truth. The Rav was a humble but great sage whose glance commanded the respect and ear of the leading rabbis of his generation. He experienced exile from the country of his birth, Iraq, and witnessed the destruction of holy places of study in Jerusalem. Yet, to anyone privileged to have been in his presence, the tsaddik showed only joy, humility, kindness (chesed) and a deep wisdom unique to his character. The Rav’s contemporaries respected his decisions on questions of the Torah and Talmud and above all, they cherished the Rav’s blessings.This is an intimate portrait of one family’s journey of ten years standing in the shadows of this sage. There have been many righteous (tsaddikim) throughout the ages whose lives were dedicated to teach, guide and console the Jewish nation. Yet, in the memory of the Jewish people, there will only be one Rabbi Yitzhak Kaduri. In Search of Truth: A Course in Spiritual Psychology, by Glenville Ashby is a book of selected writings ranging from 2013 to 2018 which seeks to answer those questions that many of us struggle to comprehend. From death and the afterlife to the purpose of life itself, Glenville attempts to develop an insight into such matter using his knowledge. His hunger for awareness coupled with his Ph.D. skill set, make this an intelligent but thought-provoking read which is guaranteed to get the reader not just thinking but, hopefully, starting a conversation and sharing their thoughts on both Glenville’s writing and the subject at hand. Admittedly, I was initially hesitant about reading this book just because I thought that Glenville was going to, like many others writing on such subjects, ignore those atheists and agnostics amongst us, myself included. I respect all faiths and believe we are all entitled to develop our own concepts and ideas when it comes to the subject of spirituality. However, from reading similar books like this, atheists and agnostics are almost never included or referred to. Because of this, I tend to avoid such writing. So, I could not have been happier when Glenville stated in his preface that he believed that all peoples views were equally important, regardless of their beliefs, or lack of. I thoroughly recommend starting with Love is The Only True Religion. This collection can be referenced and dipped into as the reader deems it necessary, but this one is a tremendous eye-opening piece that should be read by everyone! Glenville’s drive, passion, and dedication to his subjects allow him to objectively search for what lies behind the choices we make, the way we behave and how we approach such matters. Each piece of writing is thought-provoking and comes at the subject from a neutral angle. Even though Glenville knows that some readers will not initially agree with his words, he works at posing a what if stance. The book needs to be read with an open mind because that is precisely how I feel that Glenville has approached it. However, sadly I think this may be harder for some to do than others. Glenville has undoubtedly tackled those somewhat taboo subjects that many prefer to stay away from, with suicide, death and crucifixion controversy amongst them. However, how Glenville takes on and expands on these subjects is commendable, and this is one of the reasons why I would urge for those uncomfortable about such books to read just one piece themselves before passing any such judgment. I can guarantee most will be pleasantly surprised. 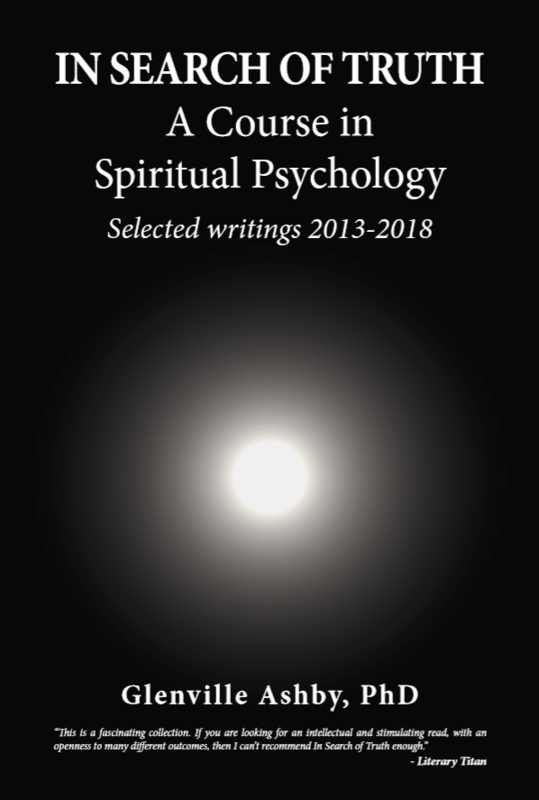 This is a fascinating collection offering something different than your usual books on spiritual psychology. 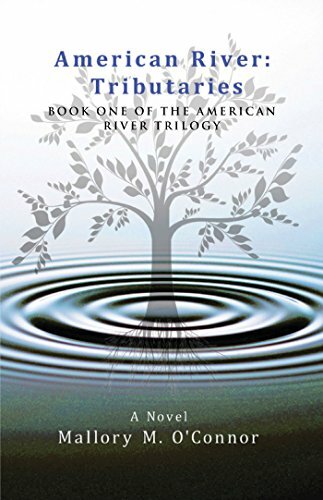 Fully accessible for those who may want to refer to it time and time again for spiritual guidance, if you are looking for an intellectual and stimulating read, with an openness to many different outcomes, then I can’t recommend In Search of Truth enough.